If you are someone who owns a mobile phone or a laptop then this article is a must-read for you because today we are going to explain you about the importance of adjusting the brightness of your monitor screen. Also, we will tell you about an amazing blue light software that can actually make the screen of your device healthy for your eyes. 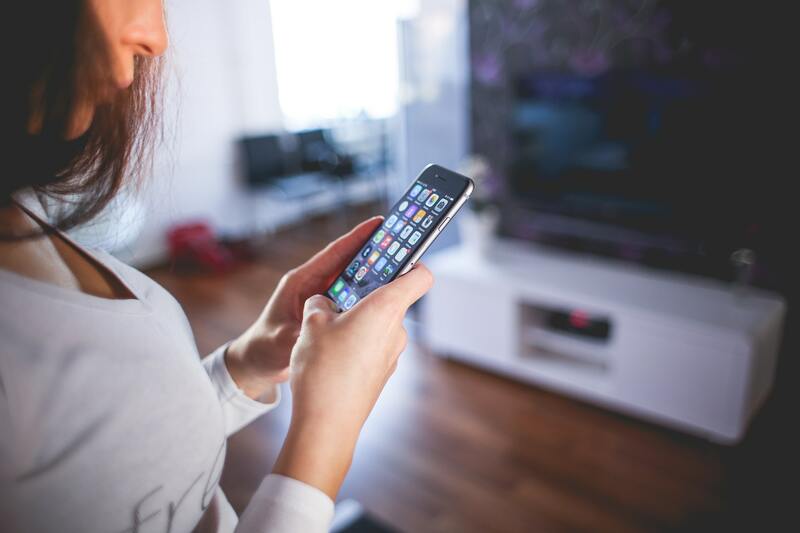 Yes, you read it right, after reading this article, you will never have to listen to people who tell you to stop using your mobile phones and laptops. That way, everything will sort out for you and you will be free from the blue light harm of your smartphone or laptop. 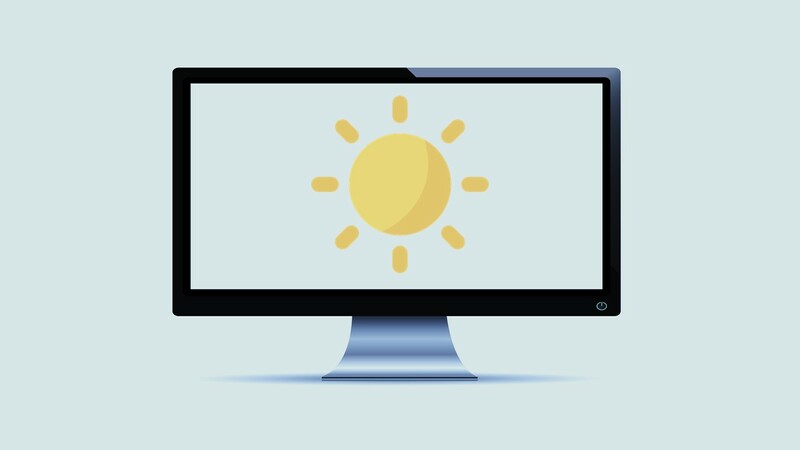 Why Is It Important To Adjust The Brightness Of Your Screen? A lot of people out there know that their screens are not healthy for their eyes but the sad part is that people don’t know why isn’t it healthy. In short, only a few people out there actually discuss about the health of eyes and half of the world is just after weight loss tricks and healthy eating which is also good but let’s face it, you cannot just “not talk” about the most sensitive part of the body which is the human eye. We’ve been told since childhood that eyes are quite sensitive but people don’t actually tell about the ways to protect these eyes. It is but an undeniable fact that right now almost everyone owns a laptop or a phone and people don’t realize that the screen blue light is continuously damaging their eyes. Yes, the light emission from your screen regarded as blue light and this light is so far the most dangerous thing you expose your eyes to. Prove can be cited by various sources like Wikipedia on this topic about the blue light effect. Blue light comes with a lot of benefits too but just like the UV rays from the Sun, this light is not healthy for your skin and your eyes. 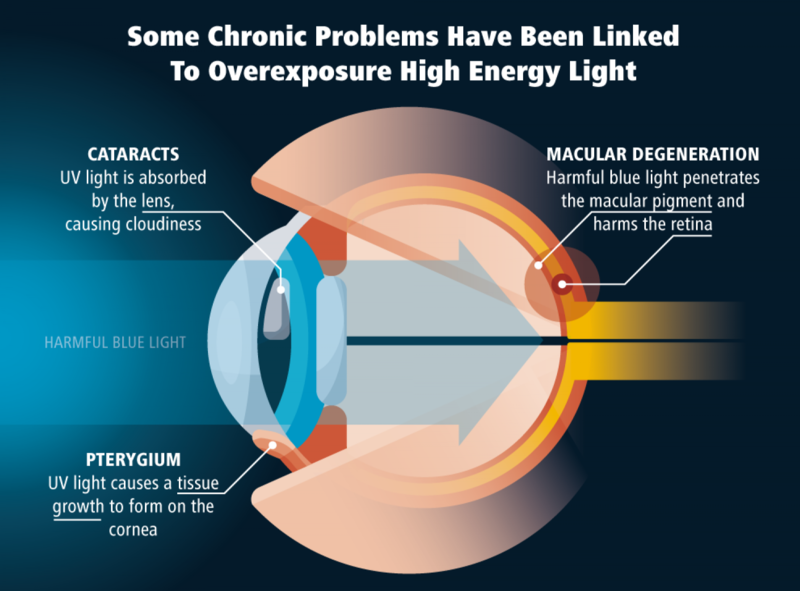 In fact, you can say that the excessive exposure of blue light is not healthy and unfortunately, we all spend almost all our day in front of our laptops and mobiles which is where all the problems like eye pressure pain and eye muscle pain begin. We hope you now understand why is your monitor screen not healthy for your vision. Now, we are going to tell you about an amazing screen brightness adjustment software that can actually make your life a lot easier than you’ve ever imagined. Especially if you are someone worried about your vision and if you don’t want to end up wearing glasses or contact lenses then you need this screen light dimmer software right at the moment. Here we are talking about none other than Iris. 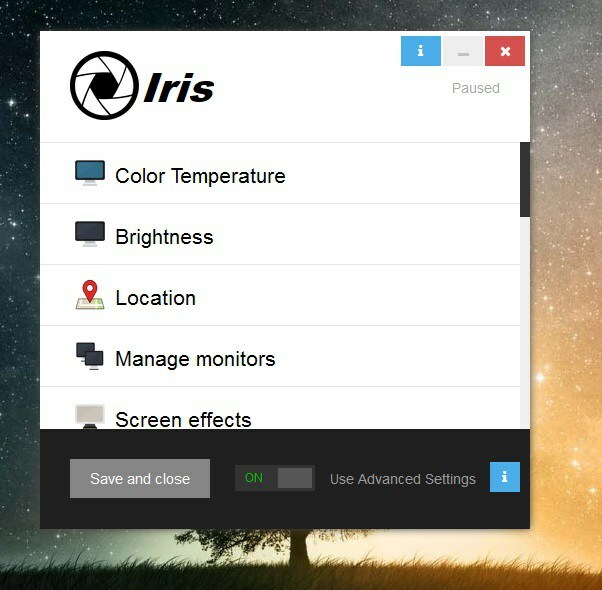 Iris is a great software that has been making headlines since its introduction. The sole purpose of this software is to make your screens healthy for your eyes. 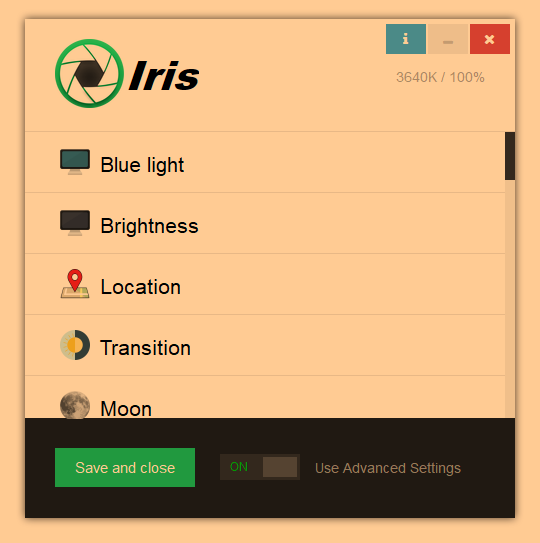 Unlike any other software out there, Iris is the most effective one and this software is pretty intelligent as it regulates your screen brightness just according to the light around you. The best part about this software is that it prevents any kind of eye strain. What actually happens is that when you use too much of your phone or laptop, the light coming out of the screen starts putting a lot of strain on your eyes. Afterward, this strain passes on to your nervous system which is why most of the times you are unable to get a good night’s sleep. However, if you start using Iris, computer screen dimmer, on your screen, we assure you that you will be able to see a positive change in your vision, you will be able to sleep well and most importantly, there won’t be any strain or stress on your eyes ever again.